Loclan is a Melbourne-based pianist (repetiteur: Chicago, Dirty Rotten Scoundrels, Grey Gardens, and The Boy From Oz), composer (winner: Betty Amsden Award for Orchestral Composition), arranger, and conductor. As a music director his credits include Calvin Berger, Cabaret, and the new works Strange Bedfellows, Ned, which is based on the life of Ned Kelly, and Doctor Zhivago (which went on to run on Broadway). He was the Associate Musical Director for the Australasian tour of Wicked. Loclan is one of only two music directors selected in 2015 to continue his studies by completing a Masters of Fine Arts - Music Directing at PennState College in the U.S.
A writer, improviser, cabaret artist and musical theatre performer, Andrew is a graduate of The Victorian College of the Arts (Music Theatre), the iO Theater in Chicago, Melbourne’s Improv Conspiracy and Danceworld 301. He has performed Improv professionally for over 2 years, including on the Annoyance and iO theatre stages in Chicago, and was nominated for Best Comedy as a part of the Improv Conspiracy’s touring company’s Perth Fringeworld season in 2015. He has toured nationally and internationally as a Musical Theatre performer and qualified twice as one of only 30 semifinalists for the Australian National Music Theatre award, the Rob Guest Endowment. 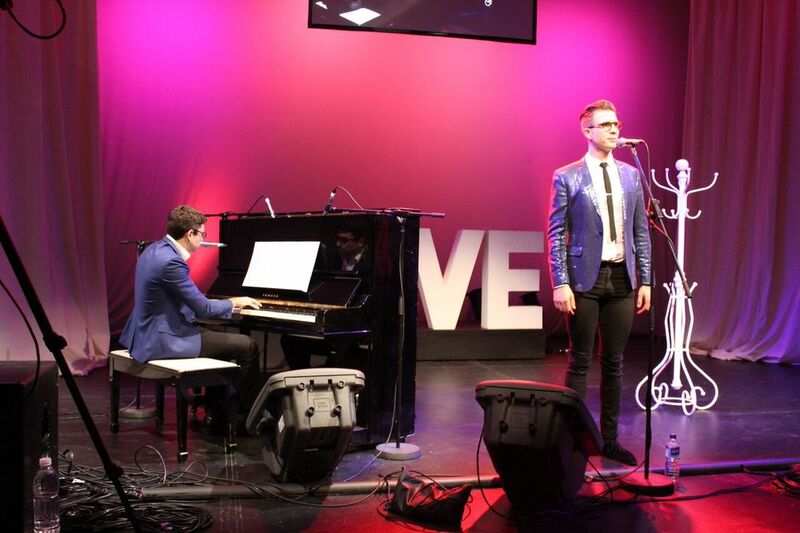 Composer Loclan Mackenzie-Spencer and lyricist Andrew Strano have been writing new musical theatre together since making their debut as the joint Melbourne winners of the YTICC 10th Annual International Cabaret Showcase in 2012. In 2014 they opened “Nailed It!” (a showcase of their work) to 5 star reviews, garnering Andrew a nomination for Theatrepeople's Best Male Cabaret Performer and winning the Green Room Award for Best Original Songs.